This is the most recent information about Donna Summer that has been submitted to amIright. If we have more information about Donna Summer, then we provide a link to the section where it appears (the actual page whenever possible). Known informally as: Disco Divine. Submitted by: Robert D. Arndt Jr. Known informally as: Brown Sugar. Submitted by: Robert D. Arndt Jr.
"She Works Hips for the Money" "She Works Hard for the Money" Robert D. Arndt Jr.
"Love Is In Control (Finger On The Tigger)" originally "Love Is In Control (Finger On The Trigger)"
If tigger's slow down to have fingers on them? "Ad Girls" originally "Bad Girls"
"Love To Glove You, Baby" originally "Love To Love You, Baby"
"Own The Radio" originally "On The Radio"
"Bard Grils" originally "Bad Girls"
"Won The Radio" originally "On The Radio"
"Glove Is In Control (Finger On The Trigger)" originally "Love Is In Control (Finger On The Trigger)"
"Rove To Love You, Baby" originally "Love To Love You, Baby"
"Dove To Love You, Baby" originally "Love To Love You, Baby"
"Lore To Love You, Baby" originally "Love To Love You, Baby"
"Love To Love Lou, Baby" originally "Love To Love You, Baby"
"Ban Girls" originally "Bad Girls"
"Last Dance" "(No More) Bromance" Robert D. Arndt Jr.
"Dim All the Lights" "Fight All the Fights" Robert D. Arndt Jr.
"I Feel Love" "We Want Trump" Robert D. Arndt Jr.
"Hot Stuff" "Greek Debt" Robert D. Arndt Jr.
"Love to Love You Baby" "Love to Watch You Bradys" Robert D. Arndt Jr. 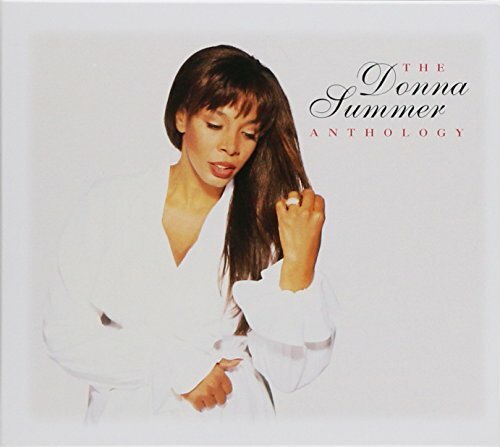 There are additional Donna Summer Combined Groups that haven't been done yet available. Was the (late) queen of disco really looking for Tabasco? This line is repeated throughout the song AND at the end when it fades out. Okay, we get it! She works hard for the money! She makes it sound like MacArthur Park is a cake. I mean MacArthur Park is exactly what its name implies, a park...at least most of us would think. Who in their right mind would be smart enough to leave a cake out in the rain? That's a good way to ruin a perfectly good cake! It's just plain dumb to do. So don't do it! You put me in such a awful spin, in a spin, in-uh. Soothe my mind and set me free, set me free-ee, uh. Those moans near the end of the song doesn't mean she's having acid indigestion. She works hard for the money, so hard for it, honey, She works hard for the money, so you better treat her right. 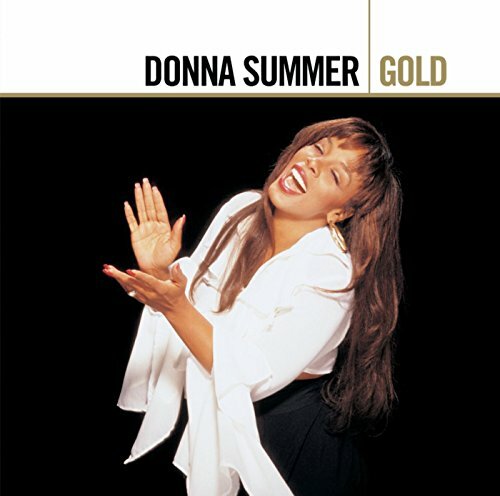 1983's "She Works Hard For The Money" was Donna Summer's biggest hit since 1979's "No More Tears" duet with Barbra Streisand. In the interim she had moved to Geffen records from Casablanca records, and then made a further move to Polydor records (but ended up in a contractual dispute with Geffen record owner, David Geffen, and had to record an lp, "She Works Hard For The Money", on Polydor that some of the proceeds went to Geffen), became a born again Christian and had to see and hear a changing pop music industry that had gone away from Disco to at first a Harder Rock sound and then to New Wave. In that manner, Summer's first top ten hit in the New Wave era was "Love Is In Control (Finger On The Trigger)" from the fall of 1982, it fit in perfectly at time when the big names on the charts were the Go-Go's, Men At Work, the Human League and the Motels. In 1983, and maybe because of the contractual dispute with Geffen, "She Works Hard For The Money" on Polydor was even more fitting in with the times when the big pop names changed even more to such artists as the Eurythmics, the Culture Club and Duran Duran, as well as Michael Jackson. "She Works Hard For The Money" was released in late summer 1983 and quickly went to #3 and partly on the basis of a wonderful video. After this Summer would continue to have some minor hits, until the top ten hit of 1989, "This Time I Know It's For Real" (which sounded the most like her Disco hits of old than any song had in years). Summer has continued to record and go on concert from time to time. "Love I Sin Control (Finger On The Trigger)" originally "Love Is In Control (Finger On The Trigger)"
"If Eel Love" originally "I Feel Love"
"Lab Grids" originally "Bad Girls"
"Grab Lids" originally "Bad Girls"
"People's Tunes" originally "Sunset People"
"Tuneless Pope" originally "Sunset People"
"Lose Pete's Pun" originally "Sunset People"
MacArthur's Park is a park in LA, California. In 1979 Donna Summer recorded the probably most memorable and best selling Disco album of all time, "Bad Girls" for Casablanca Records. It was a trend setter with several nods in the direction that music was going to take in the 1980's (many consider the album not to be just a Disco album, but also the first true New Wave album with sounds that Dance music would take in the 1980's) . The first two songs on the album were the #1 hit, "Hot Stuff" that clocked in at 5:14 and "Bad Girls" that clocked in at 4:55. On their own both are length tunes and faces some single editing by Top 40 radio, but on the lp they are sung by Donna Summer as one long medley actually becoming a story line, and on most Disco dance floors the songs were played as they appeared on the lp (several radio stations also played the lp version). The total length of the Medley of "Hot Stuff" and "Bad Girls" is 10 minutes 9 seconds. 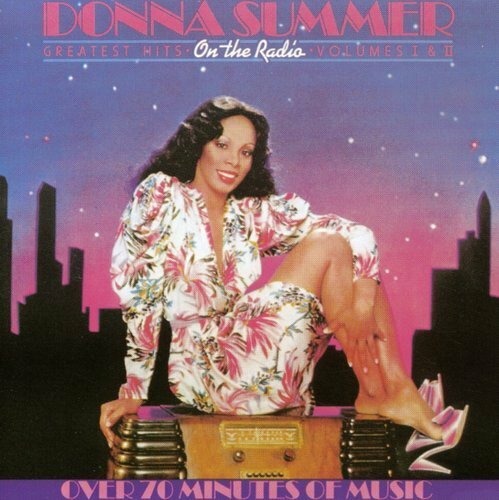 In 1978 Donna Summer recorded a Disco remake of Richard Harris' 1968 #2 hit, "MacArthur Park" and on the lp, "Live And More" there was a 8 minute 40 second version that was edited for single release (although most radio stations played the lp version). The single went to #1 on Billboard Magazine's HOT 100 charts topping Richard Harris' version. There was also a 12" single version for the Disco dance floor that went to #1 on Billboard's Hot Dance Club Play charts. 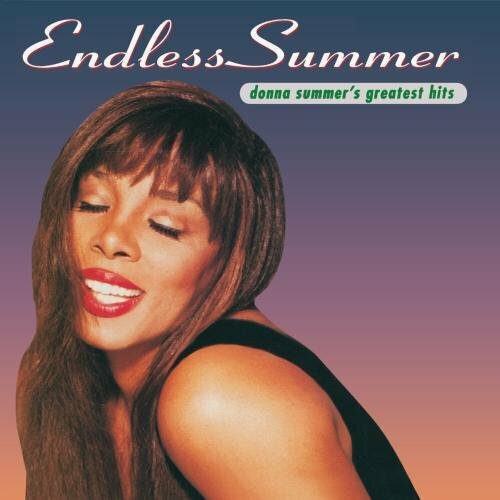 The Disco dance floor version incorporated into the "Suite" with "MacArthur Park", Donna Summer's song "One Of A Kind" and Donna Summer's tune with the Brooklyn Dreams, "Heaven Knows" (that went to #2 on Billboard's HOT 100 charts as a single edit). "Heaven Knows" was also featured in the Disco movie, "Thank God, It's Friday". The "MacArthur Park Suite" was sort of a medley with "MacArthur Park", "One Of A Kind" and "Heaven Knows", but Summer and producer Giorgio Morodor also weaved the songs into sort of Disco story anthem. 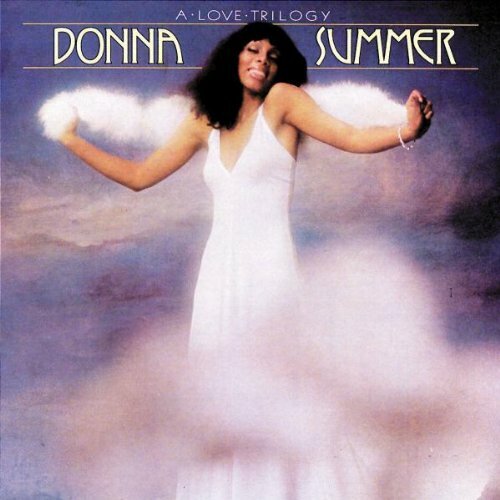 Some of the recordings of Donna Summer's 1975 smash hit (her first in the U.S.), "Love To Love You, Baby" clocked one for the record books, over 36 minutes long. Definitely for the Disco dance floor, with Donna repeating her infamous moans that sounded like she was making love. "Pun Pet Cecil" originally "Sunset People"
"Pun Pet Seeple" originally "Sunset People"
"Pun Set Seeple" originally "Sunset People"
"Oh Libby Please" originally "Oh Billy Please"
Sauna Dumber originally "Donna Summer"
Sonna Dumber originally "Donna Summer"